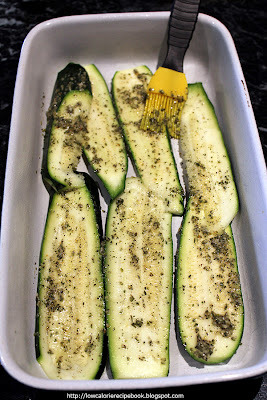 Wash & slice zucchini into 3mm slices and set aside. Slice onion fine and set aside separately. Using a food processor * roughly process Vita-Weat biscuits. Place cottage cheese in bowl and stir in crushed biscuit. In food processor finely process olives, garlic, mint, parsley, lemon juice and oil. Place 2 teaspoons of the mixture aside for the fish. Lightly spray a lamington tray or 17x30cm casserole dish with coconut oil. Divide zucchini into 3 portions and layer the first on the base of the tray. 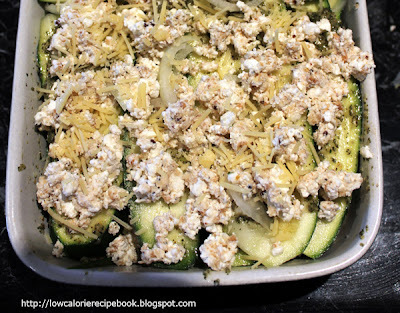 Brush zucchini with oil paste and top with 1/3 cheese and biscuit mixture crumbling over evenly. Repeat process twice more ending with the cottage mixture. Top with Parmesan. Cut of enough foil to cover a fish fillet and lay on bench. Lightly spay with coconut oil and place one fillet on each piece of foil. 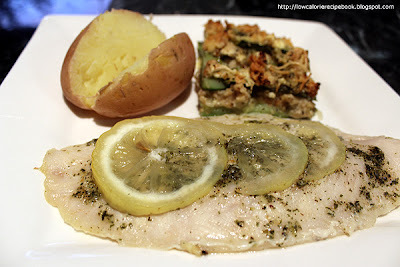 Brush fillets with the remainder of the herb mixture and lay 3 slices of lemon on top. Seal fish completely and place in oven on tray after zucchini slice has cooked for 20 minutes. In the last 6 minutes cook potatoes in microwave on high and serve one with 1/8 of the slice. Remove foil from fish by placing on plate, opening foil, tearing in two and then sliding out from under fish. Prepare extra fish and freeze for easy baking another day. Prepare double herb mixture and freeze in ice-cube trays for basting other meals. Olive oil can be used in place of the coconut oil. 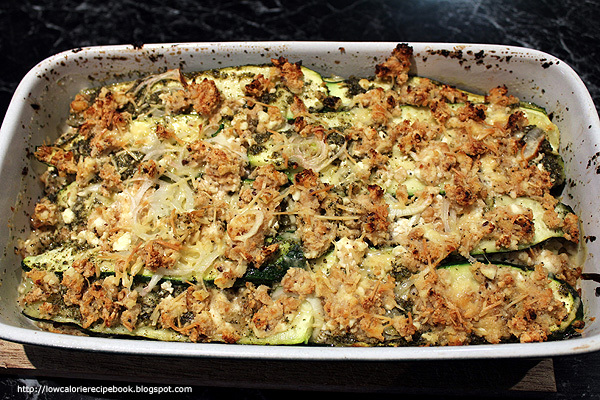 Omitting the Parmesan is not preferable as it is what gives the top a tasty cheese flavour. Slice can be reheated the next day and tastes just as good. * I use a small hand-mix type processor for many of my recipes. It is smaller and less cumbersome to use and clean.